As the leaves begin to fall in the Northern Hemisphere, we're starting to think about winter vacation plans. 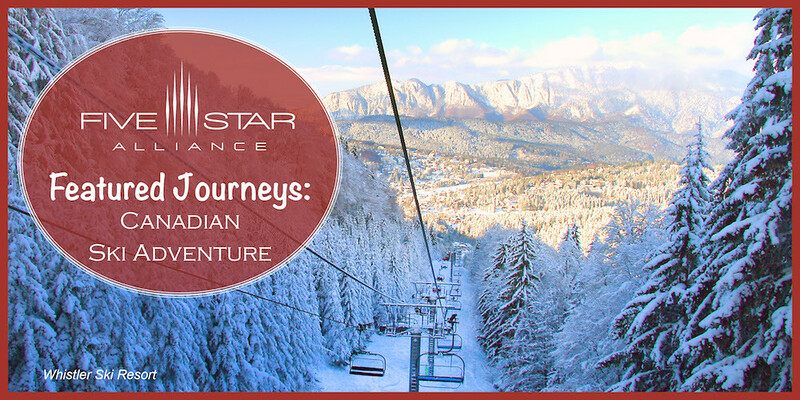 In this edition of Featured Journeys, we're going on a Canadian Ski Adventure. Our expedition begins in the chic city of Vancouver, where visitors can go from the heart of the city to the slopes of Cypress and Grouse Mountains in 30 minutes or less. Then it's off to Whistler-Blackcomb with quintessential mountain charm and more than 200 marked runs. Finally, we end our experience in Banff & Lake Louise with opportunities for skiing, snowboarding, hockey, and ice skating. Home of the 2010 Olympic Winter Games, the city of Vancouver is 15 minutes from Grouse Mountain with four seasons of outdoor activities, including a wildlife habitat and the Grouse Mountain Super Skyride providing panoramic views of the city and beyond. While Cypress Mountain is about 30 minutes from downtown and was the Official Freestyle Skiing and Snowboard venue for the 2010 Olympic Winter Games. Offering 52 downhill winter skiing and riding runs, a magic carpet surface for the kids camp, a snowtubing park, 19 kilometers of Cross Country Ski trails, and snowshoeing tours around the historic Hollyburn Lodge, Cypress Mountain offers a range of activities. 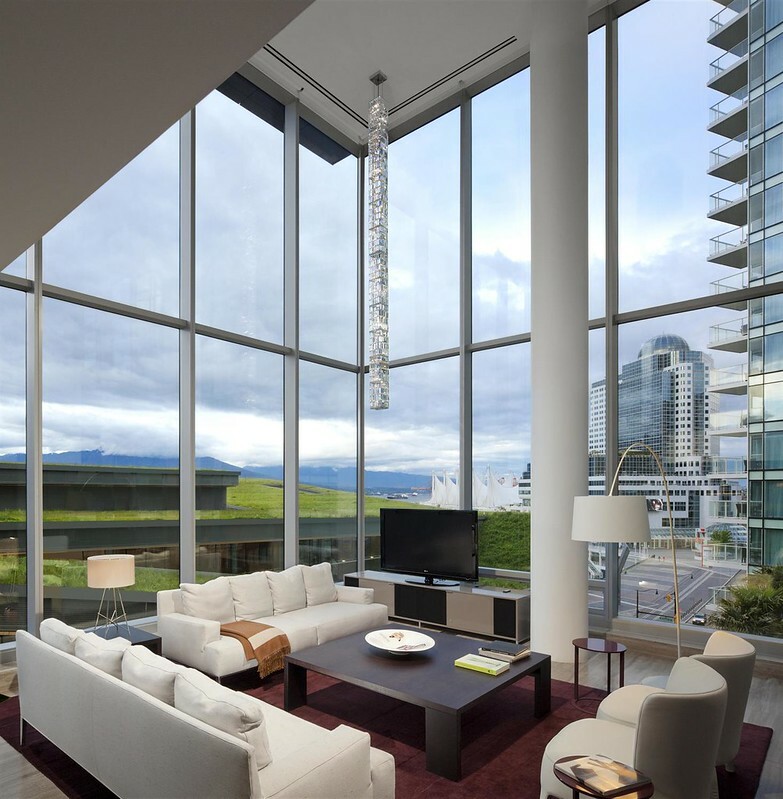 Offering a relaxed urban luxury experience, Four Seasons Vancouver towers 30 storeys above the Pacific Centre. The hotel's Health Club has the city's only resort-style indoor/outdoor pool, which also features men's and women's saunas and hot tubs. For dining, YEW seafood + bar serves sustainable Pacific Northwest seafood, wines, and innovative cocktails. Plus, guests can schedule massage services in the Red Cedar Massage Suite. 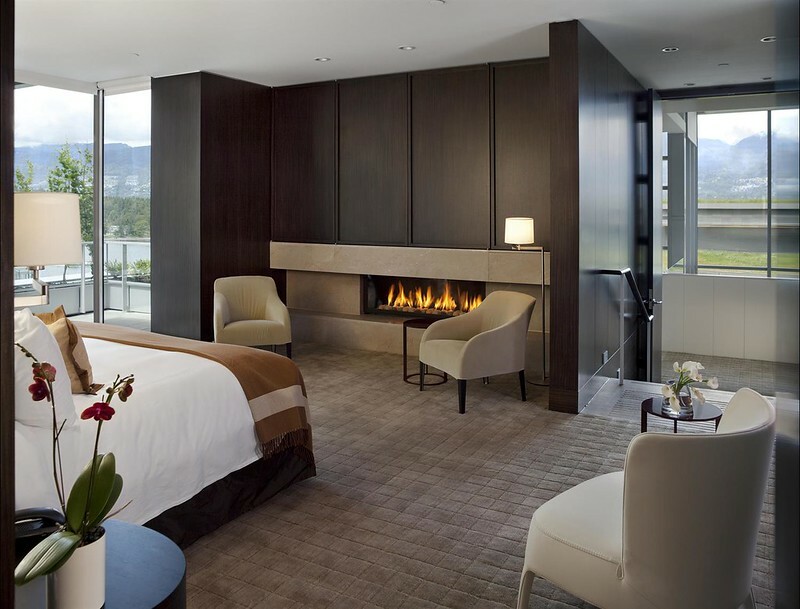 Providing panoramic views of the North Shore Mountains, Stanley Park, and Coal Harbor, the Fairmont Pacific Rim has a recently unveiled collection of Owner's Suites that incorporate the city's sense of fashion, art, and music. 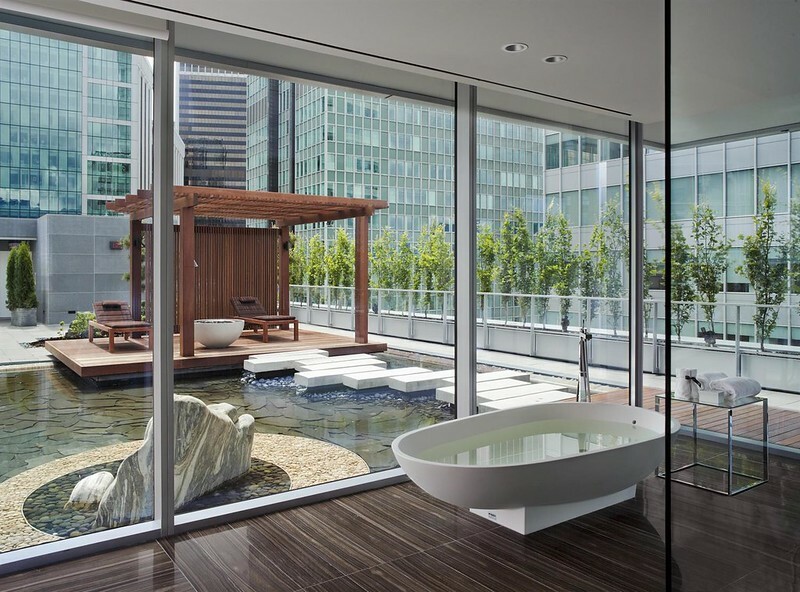 The Willow Stream Spa provides an urban oasis with meditation pods, fitness center, and outdoor terrace. Botanist is a new restaurant concept with four diverse spaces: Cocktail Bar and Lab, Garden, Dining Room, and Champagne Lounge, all inspired by the Pacific Northwest. There's also the giovane cafe + eatery + market with Italian fare, and the Lobby Lounge with sushi and cocktails. Within walking distance of Stanley Park as well as Robson Street's high fashion boutiques, Rosewood Hotel Georgia first opened in 1927. Set within a Georgian Revival building, the iconic property has welcomed celebrities and dignitaries for decades. Following a major renovation in 2011, the property combines 1920s glamour with contemporary design. There's a Rosewood Spa with an indoor pool, Hawksworth Restaurant with contemporary Canadian cuisine, Bel Cafe Patisserie, and Prohibition Cocktail Bar for on-site dining. Located less than two hours via car from Vancouver via the Sea-to-Sky Highway, the world-class Whistler-Blackcomb Resort area consists of Whistler and Blackcomb, two side-by-side mountains, with Whistler Village set in the middle of the two mountains. Offering a range of activities for all seasons including lift accessed alpine hiking and mountain biking, Whistler Blackcomb has one of North America's longest ski and ride seasons. Receiving an average of 458 inches of snow annually, there are three glaciers, 16 alpine bowls, and more than 200 marked runs. As one of North America's most varied terrains, there's vertical runs and lifts for downhill skiing and snowboarding, plus backcountry, heli-skiing, sleigh rides, and snoeshoeing. Whistler Village is home to a community of hotels, boutiques, and restaurants, providing a walkable town to explore. Featuring a modern alpine setting, Fairmont Chateau Whistler is a ski-in/ski-out hotel and golf resort with a par 72, 18-hole Audubon-certified championship course. The property has Whistler Experience Guides to provide guests with exclusive excursions and scheduled tours, as well as special events like the Women's Weekend Retreat and Holiday festivities. There are multiple on-site dining options including The Chalet--a winter dining destination with fondue and alpine cuisine, plus the Grille Room with exceptional chops, steaks, and seafood, as well as the Wildflower restaurant for gourmands. The Vida Spa provides treatments focused on health and healing, and the Health Club has an indoor/outdoor heated swimming pool, outdoor 60-foot heated lap pool, tennis courts, saunas, steam rooms, and whirlpools. Set in the heart of Whistler Village, the Four Seasons Whistler has a Ski Concierge that can assist with everything from lessons to equipment needs. Guests can partake in Wilderness Wellness programs including helicopter flights over ice caps to tour the areas ice caves (or Glacier Golf during warmer months), and the heated outdoor pool and whirlpools are open year round, ideal for post-ski or hiking relaxation. There are daily wine tastings, and the SIDECUT Modern Steak + Bar provides a modern alpine setting with views of the Whistler and Blackcomb Mountains. Offering 400 residentially-styled suites, The Westin Resort & Spa Whistler has an elevated, slopeside location that served as the host resort for downhill events during the 2010 Winter Olympic Games. Accommodations feature fireplaces, soaking tubs, kitchenettes, mountain views and indigenous materials. The acclaimed Grill & Vine Restaurant serves regionally-inspired Canadian cuisine with an innovative twist and a modern atmosphere inspired by the surrounding landscape. Plus, the Avello Spa & Health Club provides rejuvenating treatments design to sooth after a day on the slopes. Set within Banff National Park (Canada's oldest national Park), Banff offers a dramatic setting with high moraine lakes, flowing rivers, and mountain landscapes. There's plenty of professional guides and outfitters to help guests explore the great outdoors via raft, bicycle or horse during the warmer months, or visitors during the winter can explore the landscape while cross country skiing, snowshoeing, or via the slopes. Banff townsite has a historic main street with quaint buildings, and it is also home to the Banff Springs Hotel, which was built by the Canadian Pacific Railway in 1888. While Lake Louise offers a picturesque lakeside location with a variety of year round activities. Referred to as Canada's "Castle in the Rockies", the Fairmont Banff Springs was built in 1888 as one of the grand Canadian Railroad Hotels. Set where the Bow and Spray Rivers converge, the hotel is located within Banff National Park, and offers year-round luxury with a championship golf course for the summer months and world-class skiing during the winter. There's the European-style Willow Stream Spa for rejuvenating treatments, as well as multiple dining options including the 1888 Chop House with a classic menu, and the Waldhaus Restaurant with authentic alpine cuisine. In the midst of Banff National Park, a UNESCO World Heritage Site, Fairmont Chateau Lake Louise is surrounded by soaring mountains, with views of the Victoria Glacier, and the emerald-hued Lake Louise. Recognized for progressive environmental stewardship and responsible tourism, the resort offers an array of outdoor recreational activities including ice skating, snowshoeing, snowboarding, downhill and cross-country skiing, plus horse drawn sleigh rides. There are wellness retreats held throughout the year, as well as a kid's camp, and luxury spa. Featuring one of Canada's most extensive wine cellars, with more than 25,000 bottles and over 2,200 labels, the Post Hotel serves award-winning chef-prepared cuisine at the Post Hotel Dining Room, plus fondue at the adjacent Fondue Stubli. Opened in the 1940s, the hotel is nestled in the Bow River Valley, offering suites with wood-burning fireplaces, and views of the surrounding wilderness teaming with wildlife. Five minutes from the Lake Louise Ski Resort with downhill skiing and snowboarding, guests can enjoy an array of winter activities, including cross country ski lessons and heli-skiing. Would you like to receive emails with more Featured Journeys? Sign up for our email newsletters and special offers. 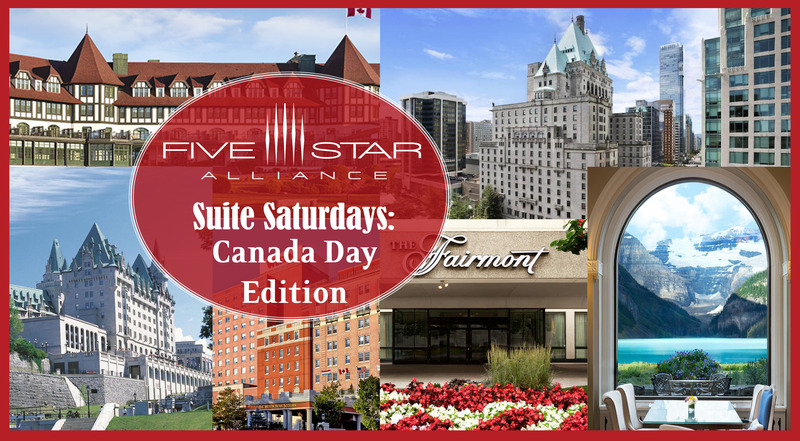 Welcome to Suite Saturdays: Canada Day Edition! In honor of the country's 150th birthday today, we've gathered a list of some of Canada's best suites. From the East Coast to the West Coast, Canada offers breathtaking natural beauty, cosmopolitan cities, cultural festivities, along with contemporary hotels and historic grand railroad properties, many of which are part of the Fairmont Hotels collection. Set on the 11th floor, The Crown Suite (shown above) at the Westin Nova Scotian features sweeping views of Georges Island and the Halifax Harbor. Providing panoramic sunset views, the elegant space has a dining area with space for up to 20 people, separate bar and lounge area, menus created by Executive Chef Mark Marchment, and live music upon request. Located along the city’s harborfront, the hotel has an indoor pool, Sykea Salon and Spa, fitness studio, and Yuk Yuk’s Halifax Comedy Club. The six One Bedroom Suites (shown above) at The Algonquin Resort offer separate living rooms and bedrooms, with queen or king pillow top beds, plus sofa beds in the living rooms. Recently remodeled, the suites have 32-inch flat-screen TVs, custom artwork, and three-piece bathrooms with stand alone showers. Situated in St. Andrews by-the-sea, New Brunswick, the Algonquin Resort opened in 1889 in Canada's first seaside resort town. Featuring maritime hospitality, the iconic building is a year-round destination with indoor and outdoor pools, private beach, spa, seasonal whale watching, and the award-winning Algonquin Golf Course. Set within the walls of Old Quebec, a UNESCO World Heritage Site, the Fairmont Le Château Frontenac offers a recently renovated atmosphere infused with European elegance. The Frontenac Suites (shown above) have 670 square feet of space, including parlors that seat up to 10 people, and separate master bedrooms. Providing views of the old fortified city and the St. Lawrence River, the iconic hotel offers guided tours of the property, the landmark Champlain Restaurant,1608 Wine & Cheese Bar, Bistro Le Sam, Place Dufferin, Spa du Château, grand event spaces, and an indoor pool. Across the canal from Parliament Hill, the Presidential Suites (shown above) at the Fairmont Château Laurier offer a residential style setting overlooking the city with a living room featuring a faux fireplace, large flat-screen TV, work desk, and spacious seating area. Plus, a dining room with seating for eight, and a separate bedroom with a dressing room, armoire, and bureau. Recently revitalized and located in the country's capital city, the historic grand railroad hotel offers award-winning regional cuisine, indoor swimming pool, and grand event venues. The property has welcomed numerous dignitaries, presidents, and celebrities since opening in 1912. Featuring contemporary furnishings and original Manitoban art, the Royal Alexandra Suite (shown above) at the Fairmont Winnipeg evokes a residential feel. Set on the 20th floor, the spacious suite has a living room with a baby grand piano, gas fireplace, 42-inch flat-screen TV, and expansive views of the city. The large dining room has seating for six, along with a butler's pantry and half bath. The master bedroom overlooks Portage and Main with a king size bed, and a full bathroom with a glass-enclosed shower and separate soaking tub. Steps from the city's major attractions including the Forks National Historic Site and the Canadian Museum for Human Rights, the hotel has upscale dining at the VG Restaurant, fitness club, and an indoor saltwater pool. Set within Alberta's Banff National Park, a UNESCO World Heritage Site, the Fairmont Chateau Lake Louise is an grand luxury hotel built in 1890. The two-level Glacier Suite (shown above) has a dining and living area with a sofa bed on the main floor, and a spiral staircase leading to a secluded bedroom with king size bed and ensuite bathroom. There's also a large covered balcony featuring views of the Victoria Glacier, Lake Louise, and mountains. Originally built as for outdoor enthusiasts, the property offers year-round alpine activities including world-class winter skiing, canoeing in the summer, and guided mountain tours. There's also a kid's camp, luxury spa, and elegant dining options, as well as horse drawn sleigh rides during the winter. 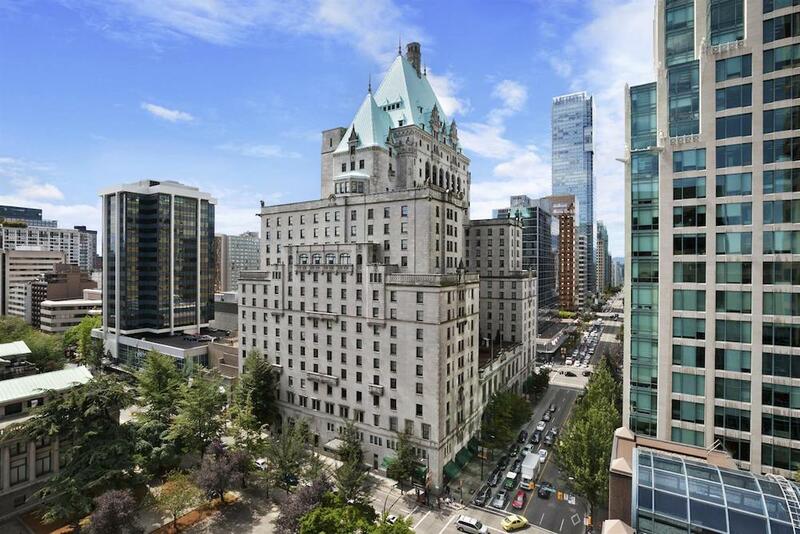 Referred to as the "Castle in the City" the Fairmont Hotel Vancouver offers a historic location in the heart of the city. Since opening in 1939, many members of the British monarchy have visited the Hotel Vancouver, including King George VI and Queen Elizabeth at the grand opening of the hotel. The Royal Suite (shown above) provides an opulent and spacious setting with four bedrooms, large dining room that can seat up to 10 guests, and an elegant living room with a grand hearth. 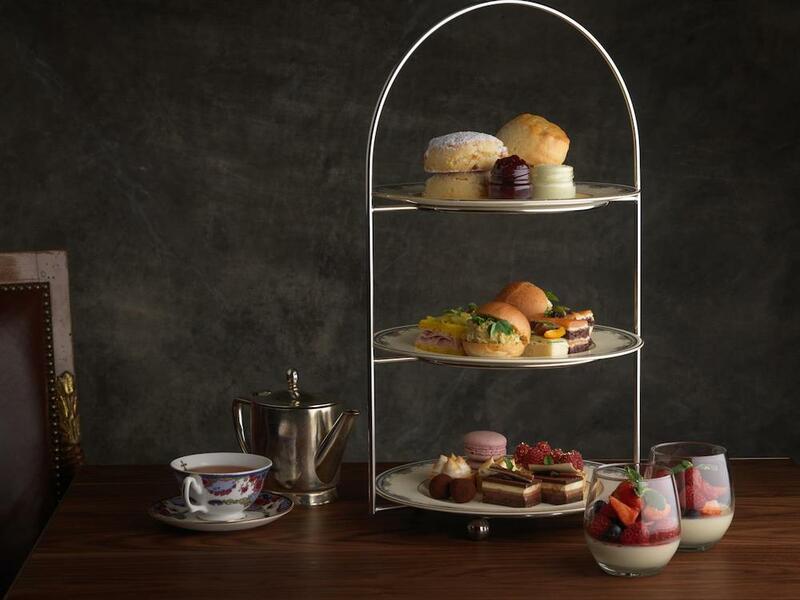 Plus, from May to September 3, the Fairmont Hotel Vancouver is offering the Canada 150 Afternoon Tea. In honor of Canada's 150th Celebrations, the Fairmont Hotel Vancouver is offering a special Afternoon Tea. Available through September 3, 2017, the special tea is inspired by the country's grand railway hotels and distinctively Canadian ingredients. Read more below the Afternoon Tea photo. From tea sandwiches with Montreal Smoked Meat, to Maple Panna Cotta, Lobster Rolls, Peameal Bacon Sandwiches, and Canadian Mini Donuts dipped with chocolate, bacon, cinnamon, salted caramel, and vanilla cream, the special menu provides an elegant "Taste of Canada". In addition to the exclusive Afternoon Tea menu, there's also the Canada150 Maple Leaf cocktail with bourbon, maple syrup, lime, and apple. Read more below the hotel photo. The Fairmont Hotel Vancouver is one of the country's iconic grand railway hotels. Situated in the heart of downtown Vancouver, the historic property is known as the "Castle in the City". Close to Robson Street shopping, Stanley Park Seawall, Canada Place, and the Vancouver Aquarium, the iconic hotel has a health club, Absolute Spa, and the Notch8 Restaurant & Bar. 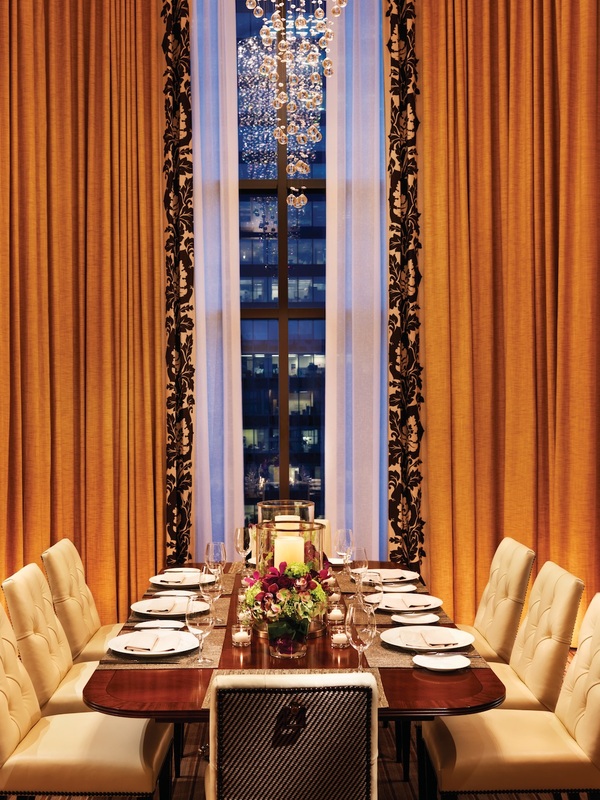 Overlooking the city skyline, English Bay, and the historic Vancouver Art Gallery, the Prime Minister Suite at the Four Seasons Vancouver offers a one-of-a-kind setting. Designed to provide a sanctuary from the city, the two-level suite is located on the top two floors of the hotel with high ceilings, a master bedroom, separate living room and entertaining area with a large dining room table for eight situated under a modern crystal chandelier. Continue reading below the photos. The master bedroom is furnished in a warm West Coast-inspired color palette with a mix of elegant and modern accents such as dark wood furniture and leather chairs. 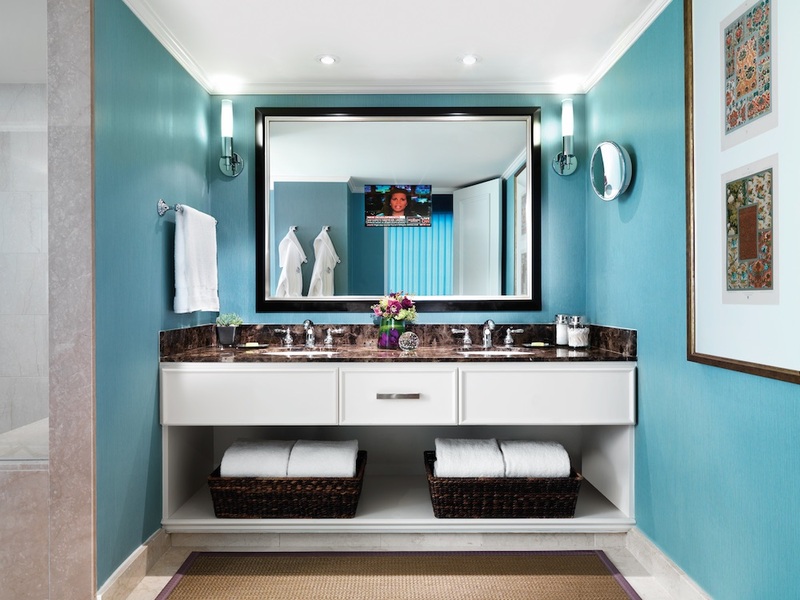 The en-suite marble bathroom has a vanity with double sinks and in-mirror TV, plus a spacious walk-in shower. There's a second full bathroom for company, and the suite can be connected with an additional suite, making the space a two bedroom configuration. Read more below the master bathroom photo. In addition to luxury services and amenities in the heart of downtown, the Four Seasons Vancouver is a recipient of the Five Green Key rating for exemplirary environmental and social stewardship. The hotel's Sempa Hybrid Heating system reduces the hotel's green house gas emissions by 50% each month, newspapers are delivered in reusable canvas bags, and LED lighting sources are used throughout the property. Looking to travel green and help the bees? Fairmont Hotels has partnered with the Pollinator Partnership to create habitats at various hotels and resorts for bee nesting and reproduction. To date, Fairmont now has more than 40 honeybee apiaries and pollinator bee hotels around the world, helping to combat declining pollinator habitats. Of particular note, the Fairmont Waterfront Vancouver has a "Bee and Bee" Pollinator Hotel set within the property's 2,400 square foot rooftop garden. 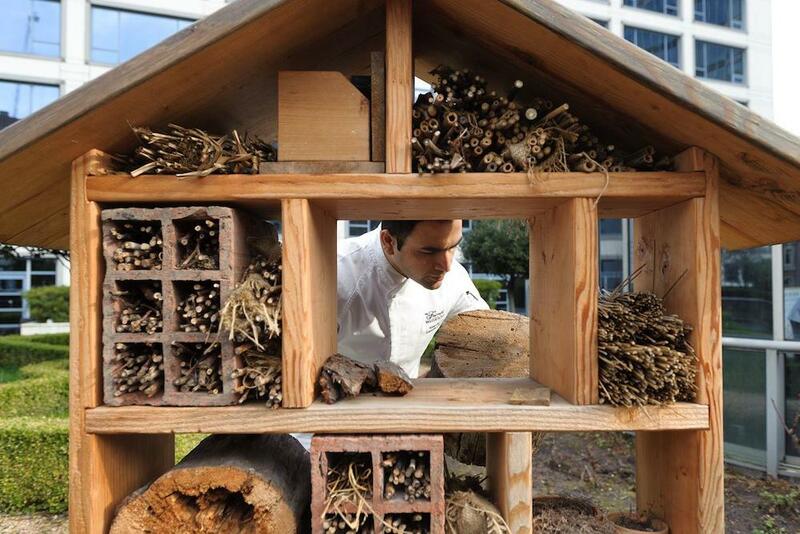 As part of The Pollinator Partnership Canada and Fairmont Hotels & Resorts WILD FOR BEES national program, the hotel's Bee Butler Michael King, Executive Chef Dana Hauser, PR Manager Kristyna Vogel, and Hives for Humanity's Sarah Common worked together to create the bee hotel. Every piece of the habitat tells a story: fire bricks are from Downtown Eastside, logs were sourced from fallen trees in Stanley Park, East Van Roasters provided burlap, wood is from the Haida nation, and branches, nests, twigs, and leaves were collected from around the city. Read more below the photo. Set on the third floor of the hotel along with 2,100 square-foot herb garden--which is the source of sustainable herbs, vegetables, and edible blossoms used in culinary creations throughout the hotel, the apiary contains five beehives with more than 250,000 honeybees that have produced 125 pounds of honey since 2015. From May to September, guests can experience a beehive tour with the hotel's Bee Butler. Honey from the hotel's rooftop beehives is used throughout the property to create seasonal dishes in the ARC restaurant, chocolate, pastries, salad dressings, and signature cocktails. Plus, the local Whistler Brewing Company incorporates the honey into the "Fairmont Stinger Honey Lager", served on-site. Inspired by a Balinese villa, the Chairman's Suite at the Fairmont Pacific Rim is the ultimate ultra-luxe suite in Vancouver. The one-of-a-kind two-story space offers a private elevator, lavish entertaining area, custom 8-foot-long Swarovski crystal chandelier over a dual-story salon, and a 500-square-foot ensuite marble bathroom with a hand-carved soaker tub. Continue reading below the photos. There are two living room spaces, as well as a full kitchen and pantry. 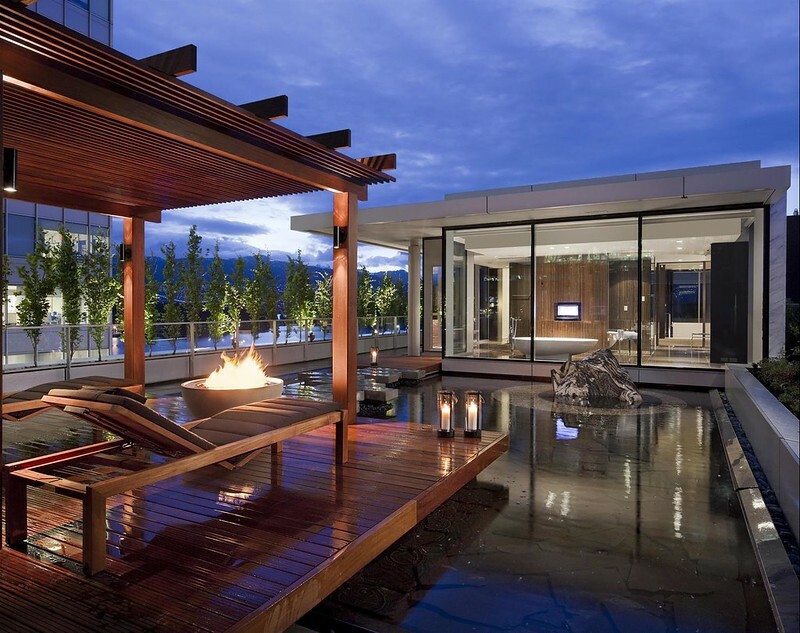 To top off the impressive suite, there's an exclusive rooftop patio with a private gazebo, meditation pond, fire pit, tented space, and unparalleled views of Coal Harbour and the North Shore Mountains. 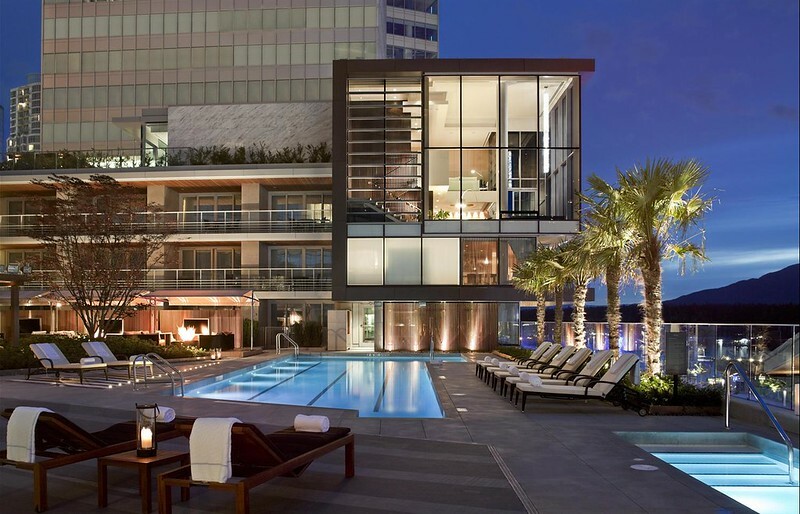 The Fairmont Pacific Rim sits at the ocean's edge in the heart of downtown Vancouver, with luxurious accommodations that blend natural materials with state-of-the-art technology. There are three unique gourmet dining options, including ORU, featuring cuisine from the Pacific Northwest and the flavors of the Pacific Rim, as well as giovane cafe + eatery + market offering modern Italian fare, and The Lobby Lounge and RawBar, providing a trendy atmosphere, signature sushi dishes, cocktails, and live music. There's also an outdoor pool with cabanas, and the Willowstream Spa with meditation pods and an infrared sauna. For art enthusiasts, the hotel offers podcast tours of the property's growing international art collection. enrolling in one of the cooking classes at Sonora Resort. the executive chef combines flavours and techniques to create fresh, delectable cuisine. 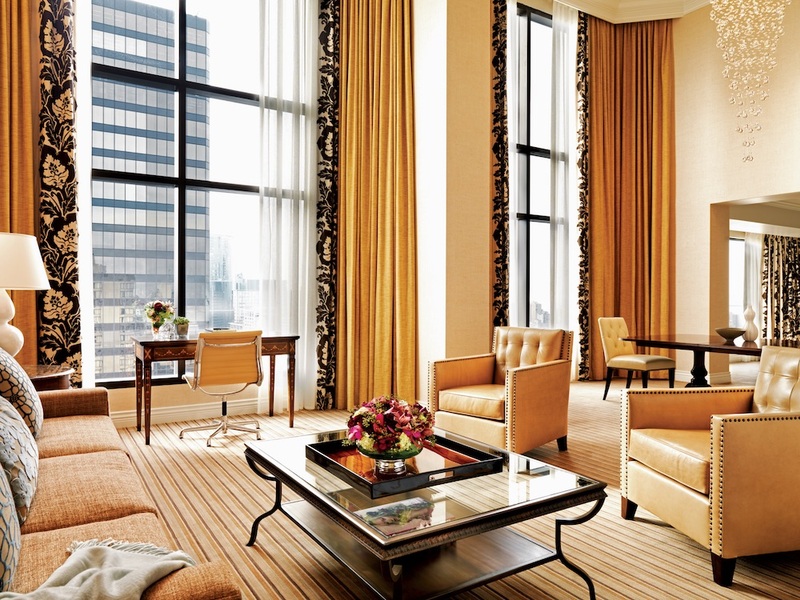 The Wedgewood Hotel & Spa is one of Vancouver’s leading luxury downtown Vancouver hotels. Located amidst the gardens and waterfalls of the fashionable Robson Square in the heart of Vancouver's thriving cosmopolitan core, the Wedgewood has become a landmark. Privately owned and operated by Greek born owner, Eleni Skalbania. Of the Vancouver hotels, the Wedgewood has been a family-run boutique hotel providing a home away from home for countless guests.